J.W. Beatty was born in Toronto 1869, at age 31 he studied at the Academie Julian under Jean Paul Laurens and Benjamin Constant. He returned to Toronto in 1909. 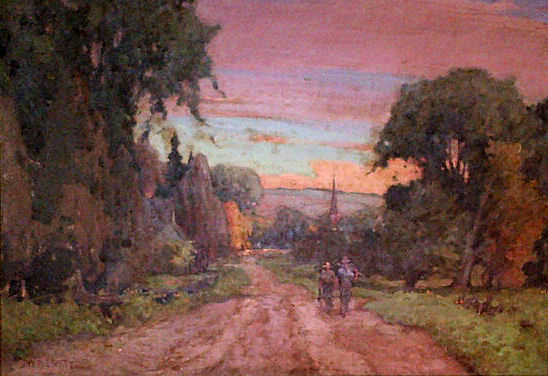 In 1912 he began teaching at the Ontario College of Art. He was appointed the official war artist for the Canadian War Memorials in 1917 and went overseas once again. A lifelong colleague to the members of the Group of Seven, he often made sketching trips with the artists in Northern Ontario.